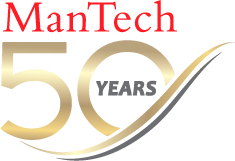 Ms. Bush has served on ManTech’s Board of Directors since 2006. In 1991, Ms. Bush founded Bush International, a global consulting firm that advises U.S. companies and foreign governments on international financial markets, banking and global business strategy. In 2007, Ms. Bush was appointed by the Secretary of the Treasury to the U.S. Treasury Advisory Committee on the Auditing Profession. From 1989 to 1991, she served as managing director and head of the Federal Housing Finance Board, the oversight body for the nation's 12 federal home loan banks. Before 1989, Ms. Bush was the vice president and head of international finance at the Federal National Mortgage Associate (Fannie Mae). From 1982 to 1984, Ms. Bush served as U.S. alternate executive director of the International Monetary Fund (IMF), a position appointed by the President of the United States and confirmed by the Senate. In that capacity, she worked with the Treasury Department to set policy on IMF lending and global economic matters. Ms. Bush serves on the Board of Directors of Discover Financial Services (NYSE: DFS), Marriott International, Inc. (NYSE: MAR), and the T. Rowe Price Group. She is also chairman of Capital Partners for Education, a nonprofit organization that mentors young people through high school and college. Ms. Bush previously served on the Boards of Directors of United Airlines (NYSE: UAL), Brady Corporation (NYSE: BRC), Briggs & Stratton Corporation (NYSE: BGG), MGIC Investment Corporation (NYSE: MTG) and the Pioneer Family of Mutual Funds.